Manchester United are reportedly confident that they can sort out a fresh deal with David de Gea before the end of the current campaign. The Spain international is presently contracted at Old Trafford until 2019, though the club have the option of a 12-month extension clause, which may be triggered. De Gea, 27, came on the cusp of joining Real Madrid during the summer of 2015, but a £35m move fell due to a faulty fax-machine. 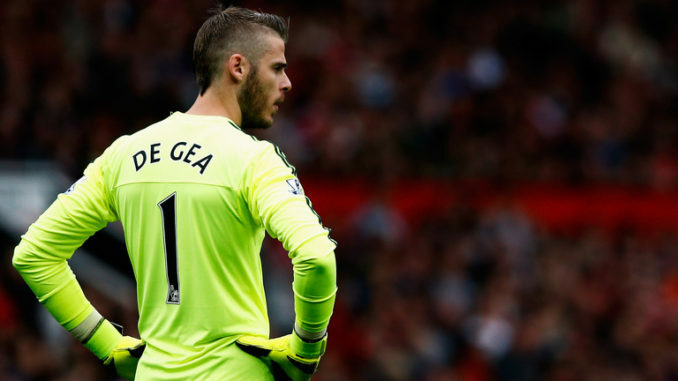 Few days later, the shot-stopper committed to United on a four-year deal, and he has since been influential for the club, saving points in difficult circumstances, which have built up his reputation as a world-class keeper. According to The Mail, United are once again in talks over a fresh extension with the £200k-per-week star, and they are growing in confidence of resolving his future after holding ‘positive talks’ with super-agent Jorge Mendes. United’s hierarchy are expected to offer the Spaniard with a new £220,000-a-week contract at Old Trafford, and they are seemingly optimistic of getting the deal done, with De Gea having spoken positively regarding the city and the club over the past few years. The former Atleti graduate has been one of the most consistent goalkeepers in the Premier League, and this has earned him a place in the PFA Team of the Year for three seasons on the trot. He has also been named as United’s Player of the Year on three occasions whilst becoming the fifth goalkeeper at the club to accumulate a century of clean sheets.